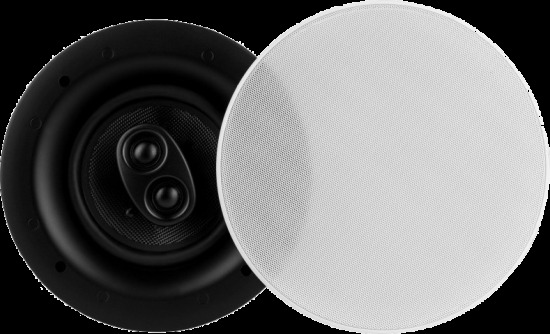 The Aeon AKS63 speaker provides both left and right channels into a single speaker with an almost invisible grill. speaker with an almost invisible grill. Provides two channels of high-quality audio from a single speaker. Dual 1? coaxial silk dome tweeters. Dual-coil 6-1/2″ woven Kevlar cone woofer. Sold as a single speaker.